Incredibly convenient dry cleaning & laundry. Pickup, delivery, and everything in between! Don’t ruin your favorite neckties because you don’t know how to take care for them. Follow these tips and your neckties can last a lifetime. Ties are delicate so treat them as such. After you have untied your tie, never store them knotted or it will ruin them, hang them over a plastic hanger or tie rack. The only exception to hanging is knit ties. Knit ties fare better when rolled up and place in a drawer. If you hang up your knit ties they will eventually become stretched out. If you get a little too wild at your client dinners then you may end up with a few stains on your tie. Don’t worry it’s not the end of the world make sure to blot the stain immediately with a cloth, blot don’t rub. Seltzer water, club soda, and tonic are your best friend when it comes to getting out stains on neckties. When worst comes to worst and the stain won’t go away you should send it to a cleaner. Good cleaner’s know they shouldn’t press ties because it can cause the edges to flatten. 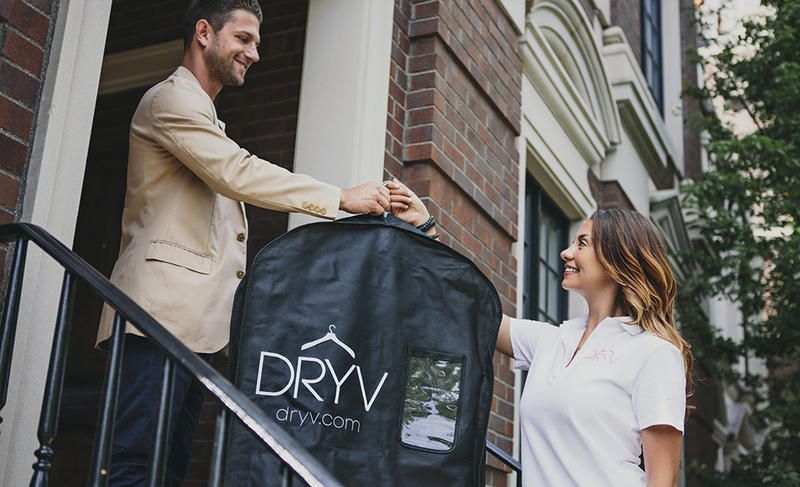 If you happen to send your tie to a cleaner that is not a DRYV cleaner then make sure to reiterate that they shouldn’t press your tie. If you would rather send your suits and ties to expert cleaners then schedule a pickup here. NEVER fold your ties in a suitcase. ALWAYS roll your neckties, start from the narrow end and roll towards the bottom. If you can, individually bag them and place them inside your shoes for extra care. If you are in a time crunch and cant hang your neckties up over night – a hot shower will work. Place your ties over a hanger in the steam filled bathroom and you are ready to go in just a few minutes. In honor of International Dance Day we look back on our DRYV Doughnut Break. We teamed up with Glazed and Infused to bring a doughnut break to our customers’ Chicago offices. Nick “MOKS” Olvera, the champion break dancer, showed off his skills and was even joined by a few employees. Enjoy!